KAMPALA (Reuters) - Uganda's President Yoweri Museveni said on Sunday that a cruise boat which capsized on Lake Victoria a day earlier, killing at least 29 people, was carrying more than twice its capacity of 50. 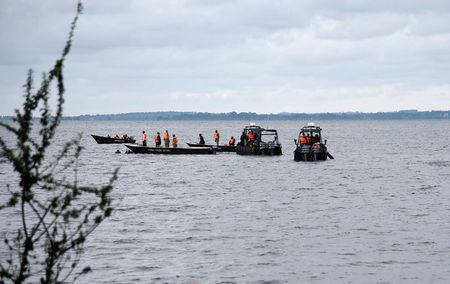 More than 200 people died in September when an overloaded ferry sank on the Tanzanian side of the lake. 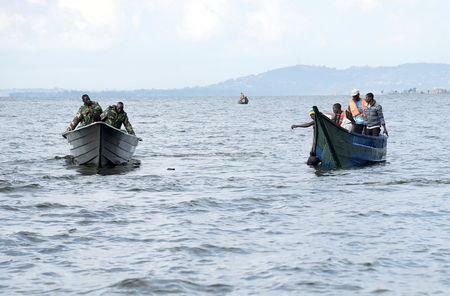 On Sunday, a police helicopter flew over the spot where the boat went down on Saturday evening in the waters off Mukono district near Kampala, as a large crowd of onlookers, some wailing, stood on the shore where bodies were piling up. "The operators of this boat will be charged with criminal negligence and manslaughter, if they have not already been punished for their mistake by dying in the accident," Museveni wrote on Twitter. There was a party going on aboard the boat, with loud music, at the time of the accident, Museveni said. "They might not have heard the emergency commands of the captain, who is still unaccounted for," he said. Patrick Onyango, the deputy spokesman for the police, said the vessel had encountered rough conditions at the time of the accident. 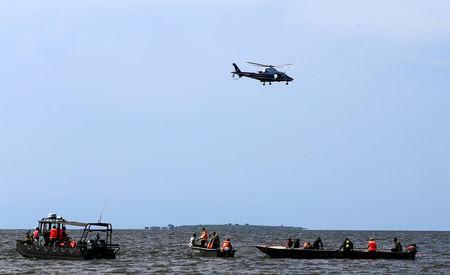 "The boat was overloaded and secondly there was bad weather," Onyango told Reuters. "Our rescue team is still on the ground trying to rescue whoever we can find," he said. Among those rescued on Saturday was Prince Daudi Kintu Wasajja, a brother of Ronald Mutebi, the king of Buganda kingdom, Uganda's largest, police said. The East African nation has several kingdoms, whose kings wield considerable social clout but little political influence.